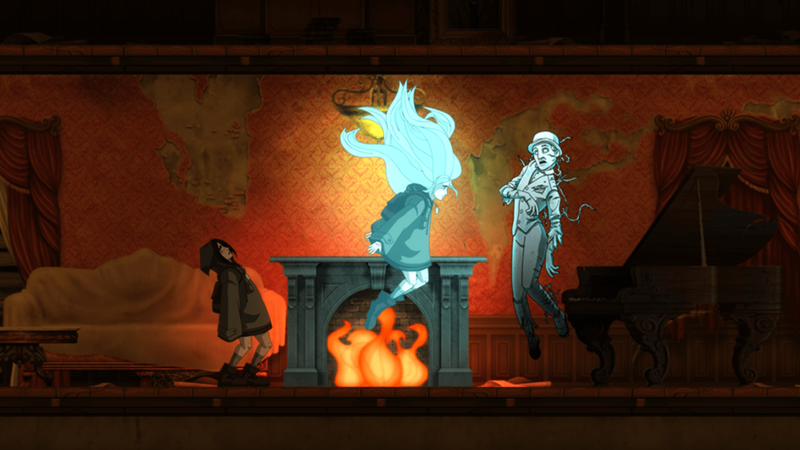 Whispering Willows has recently been confirmed for an Xbox One release. With the game due to drop very soon, we took some time to have a chat with two of the guys behind the game – David Logan, founder of the developer Night Light Interactive and Ralph Egas, CEO of publisher, Abstraction Games. 1. Please introduce yourself. What is your role on Whispering Willows? My name is David Logan. I founded the game studio Night Light Interactive. With indie studios, each person wears a lot of hats. My main two roles were as the creative director – giving direction and the overall vision of the game, and executive producer – I made sure we remained within budget and on schedule. I also ran a lot of the marketing efforts, as well as worked with publishers and distributors. 2. So sell it to us. Why should Xbox One gamers buy your game? 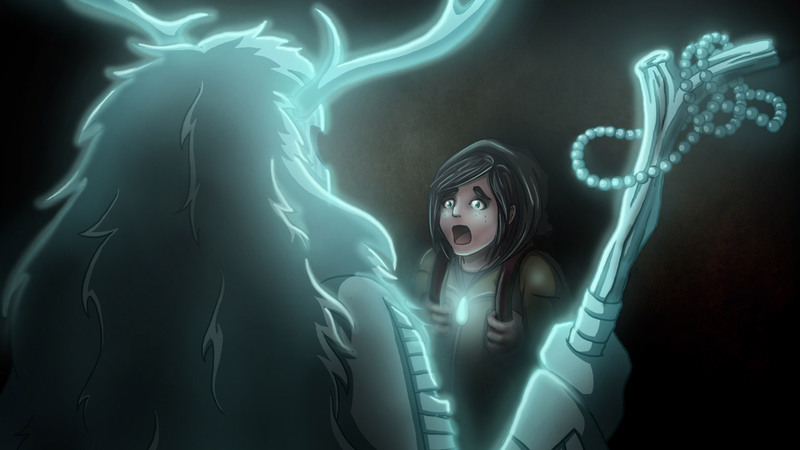 Whispering Willows is a call back to classic adventure games, but with a more modern twist. It really feels best played on your couch with a controller in hand. You play as a girl named Elena who is searching for her missing father in the abandoned mansion where he works as a groundskeeper. Elena has the unique ability to astral project her spirit and talk to ghosts! You utilize all your cool ghostly powers while solving the mysteries of the Willows Mansion. 3. Horror and young girls seem to go hand-in-hand. How did you settle on Elena as being the star of the show? Too many games feature big, beefcake, macho men with mini-guns. We wanted a unique character with a unique story. Elena starts off as kind of a brat, and fairly vulnerable, but over the course of the game becomes more strong and independent. 4. With a soundtrack being one of the ultimate haunting goals, how important was it to get the audio just right? Our composer, Steve Goldshein, collaborated with the incredibly talented Catherine Hontos who worked on sound design. Between the two of them they create a haunting and eerie tone that gives you goosebumps, even when there is no danger around. It really does a great job setting the mood of the game. 5. 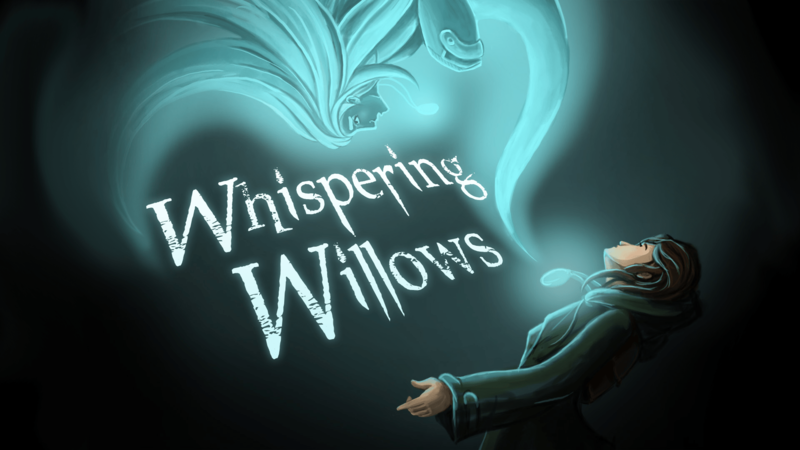 Will the Xbox One version of Whispering Willows be the same as all other versions? If not, how will it differ? Has there been any issue developing both mobile touch screen and standard controller based control schemes? We have tried to make all versions of the game as similar as possible and let our fans decide the platform that feels best to them. The mobile version was still designed with a controller in mind – you can connect a bluetooth controller and play the entire game that way, or utilize the touch screen controls if you’re on the go. We faced no issues besides the usual bugs for porting to multiple platforms. 6. Was it the plan to always bring the game to Xbox One? How has the [email protected] scheme helped you achieve an Xbox release? 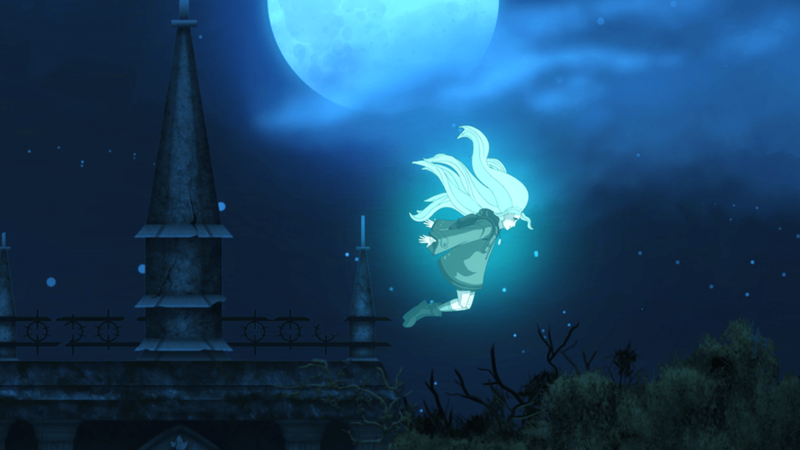 Ralph – David from Nightlight Interactive approached us to help them bringing Whispering Willows to Xbox One as we are known to make accurate adaptations of high profile titles on console. We’re well versed on the whole process regarding console development and publishing, so we’re taking care of all of that stuff as well. This way great companies like Night Light Interactive can focus purely on creating wonderful games while we take care of the rest, even without any planning off the bat. We think the [email protected] is a great initiative as we found that the fine folks at Microsoft have been a great help so far. Without such a program, doing what we do on Xbox One would have been virtually impossible. 7. Are there any ‘Kinect moments’ in game? Did you consider using voice or motion tracking at all? Ralph – No, not at all. Although we value Kinect’s functionality and what it can bring to games on Xbox One, we feel this is something that has to be designed as part of the core design of a game from the outset. The same goes for any voice or motion tracking. Whispering Willows had not been designed with the Kinect in mind, and we don’t believe in slapping on platform specific functionality just to be able to tick a box on a feature list. Instead, we focus on making sure any adaptation we carry out plays smoothly and feels robust. Typically, we try to go by the quality-over-quantity principle. 8. How tough will the average gamer find the puzzles that have been included? We wanted to create puzzles that someone without much gaming experience could pick up and play. 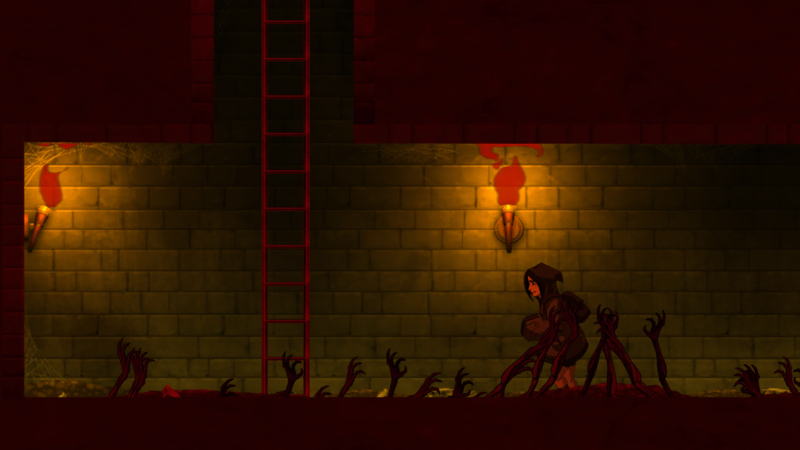 Once the player is comfortable with the mechanics, we introduce more complex and challenging puzzles, often utilizing monsters and evil spirits in the mansion. 9. …and with that in mind, how many hours of gameplay do you envisage we would be undertaking? The average play through is probably in the neighborhood of 4-6 hours. The game is 4 chapters long, each focusing on a major ghost. 10. What was the toughest choice you, as a team, had to make during development of the game? As an indie team with a limited budget, we had to cut a lot of content we would have loved to develop. The game was originally very complex and longer. We had a story that spanned over 5 or 6 chapters. We really had to consolidate and condense the best mechanics and story from our game into a tighter package. We are very happy with the end result, but it was hard getting there. 11. Achievements are a massive part of our gaming lives but we despair at those which just need us to complete a certain level to acquire huge gamerscore. How much thought has gone into the achievements and points garnered for Whispering Willows? We have a lot of hidden humor in our game – both in dialogue, easter eggs for other games, naming our achievements, and more. We had a fun time coming up with creative names of achievements and how we could incorporate them. 12. Smartglass integration was once a big thing in the world of Xbox One, but not enough games have utilized the second screen method. Is there anything captured in Whispering Willows that made you think about using the tech? Ralph – We’ve considered tailoring for Smartglass integration as it would have made total sense from a player perspective, but unfortunately we stumbled on too many issues to make that feature robust enough within the given development timeframe, mostly because of the fragmented nature of mobile devices. Creating well executed adaptations is hard, and like with Kinect as mentioned earlier, instead of forcing a feature into our production schedule we’re uncertain of we’ll always prefer sticking to what works and then polishing that until we think it’s perfect. That said, we agree Smartglass isn’t utilized enough across the board and we’ll try our best to build some confidence working with it for our future adaptations. If more devs and pubs start doing this, we might end up in a situation where Smartglass is a must-have. That would be cool! 13. Finally, any chance we’ll be seeing a Whispering Willows 2 on the horizon? Or do you have any additional games up your sleeves that we should be keeping an eye out for? There has been quite a bit of positive response for Whispering Willows, and a lot of fans that are eager for a sequel. We don’t have anything currently planned, but it’s in discussion and always a possibility. We are currently working on a few games right now including a platformer called Nomad which you can see a teaser image for on our website (http://nightlightinteractive.com/). Many many thanks go out to both David and Ralph for taking the time to answer our questions. You’ll be able to download Whispering Willows on Xbox One soon, and we will of course let you know as soon as it appears in the Xbox Games Store. You never know, we may even have a review for you as well! Note: All questions were answered by David Logan with Nightlight Interactive (developer) except for questions 6, 7 and 12 (highlighted) which were answered by Ralph Egas, CEO of Abstraction Games (publisher). Next articleLet’s Play Tachyon Project on Xbox One!